The Ole Captain has decided to retrieve his new motorcycle he purchased earlier this winter and drove from Sarasota to Las Vegas. It had to remain in Vegas until the snow in the upper states melted, which they have, and now it's time to fetch it. Thankfully my buddy needed his RV transported from Minnesota to Las Vegas, which not only provided the opportunity for a free ride out to Vegas, but made me feel like Jason Statham in "The Transporter"...minus the cool car...and the hot Asian chick...and the muscles. But I beat Statham on hair. 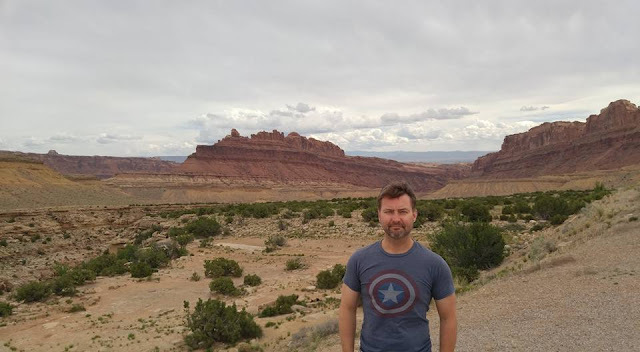 Regardless, expect pictures from the American west as the Ole Captain's tour stops at great places like Kayenta, Grand Junction, Cortez, Steamboat, Denver, Hot Springs, and Deadwood. Have fun. Remember, they really are trying to kill you.